The first session of the Tour Championship 2019 final was played yesterday evening and it was a good session. Neil had the better start et went to lead 2-0, despite the fact that Ronnie had a 100% long pot success at that stage and had been in first in both frames. 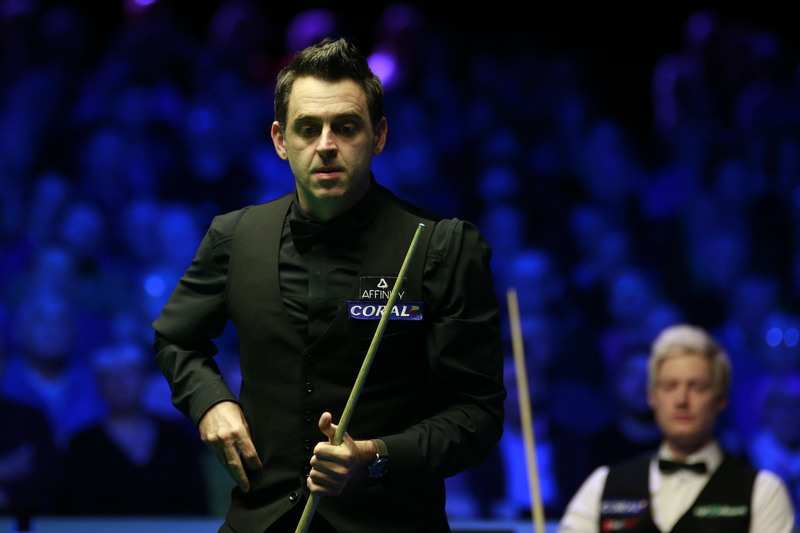 Ronnie then won five frames on the trot, aided by some excellent safeties, very clever and creative break building when in the balls when faced with an unpromising table, and a remarkable clearance to steal frame seven. Neil Robertson took the last. At that stage my feeling was that Ronnie’s concentration had just dropped a little bit, which would be understandable given the level he had sustained over the last five frames, but all credits to Neil who had been shut out for a long time and had just lost the previous frame that he probably should have won. So Ronnie goes into the second session this afternoon with a two frame advantage, which is good but in no way decisive in such a long match. If O’Sullivan can convert his advantage tomorrow, he will equal Stephen Hendry’s record of 36 ranking event wins. While Robertson, who has 15 ranking titles to his name, can move clear of Mark Selby and go sixth alone in the all-time ranking event winner’s list with victory.